JEE Main 2019 Application form for April Session has been released on 8th February 2019. NTA will take over from the CBSE for organizing JEE Main 2019. NTA announced previously & JEE Main Application Form was available to apply for JEE Main 2019 from 1st September 2018 and till available 30th of September 2018. The form is available for January 2019 Session via only online mode. As JEE Main 2019 will be organized twice in a year. It is advised to students that fill your accurate details like personal, educational, and more in the JEE Main Application Form. In this article, you will know more about JEE Main Application Form. JEE Main Application Form (April Sess.) has been released now, Click Here to Fill Application Form. In this above given period of time only those candidates can apply who can fulfill the Eligibility Criteria. Those who fulfil these requirement/prerequisite will able to fill JEE Main Application Form with the correct records which is mentioned into their academic records and Aadhar Card. Candidates need to pay the applicable application fee for JEE Main 2019 April Session. JEE Main 2019 will be conducted twice in a year. For January session has been done from 6th to 20th January 2019 and it will be conducted for April Session from 7th to 21st April 2019. Click Here to Check JEE Main 2019 Complete Schedule. From 2017, CBSE made aadhaar card mandatory for JEE Main Registration. If you have not Aadhaar Card then you need to apply for aadhaar card, if you have aadhaar card then you can apply for JEE Main. During JEE Main Examination CBSE will validate this details with the school records and UIDAI data. Students who already requested for an aadhaar card can register with the help of Aadhaar Enrollment number. Here you will find the detailed view of JEE Main Application Fee. How to apply for JEE Main? Click on “Apply for JEE Main 2018” button. The password should contains one of the special characters from the following !@#$%^&*_. The password should contain one upper case alphabet, one lower case alphabet and atleast one numeric value. Candidates need to verify their mobiles number and Email Id for future references. Candidates need to verify it through the One-time passwords which will send to you through the registered mobile number and email id. Once candidates pay the application fee then candidates will able to book their exam slots. Take a copy of the printout of acknowledgment page for future purpose. How to remove discrepancy from the uploaded Images in the JEE Main Application Form 2019? To remove discrepancy candidates need to log in using their application number, password and security pin. Click on the “View Scanned Images”. Then upload news and correct images. Candidates who mistake while filling JEE Main Application Form, the conducting authority will give them a certain period of time for correction in the certain field in the application form. During the correction period, candidates can edit the details except changing of the exam mode. Some additional correction charges will be applicable. Some of the figures can not be correctable. How to retrieve your Login Password? Candidates who are not able to login in their JEE Main dashboard because they forget their password. Here is the process how can you able to retrieve your password. Answer the security question which you have previously marks while filling/ registration for the application form. A one time password will be sent to your registered mobile number or as well as in registered Email Id for verification purpose. Once you entered this OTP then a new window will appear after submitting it where you can reset your password. How to retrieve your Application Number? Click on the link “I cannot access my password”. Then Click on I forget ay application number Links. Once you have filled all the details then click on submit button and your application number will be retrieved and appear in front of your computer screen. 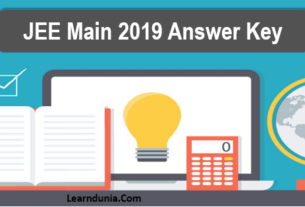 What is the procedure to check the application status of JEE main 2019? The authority provides Application Form Progress option through candidates will able to check their status.